These calibrated noise sources have excellent stability with temperature and voltage for tough environments. The compact package is designed for severe environments such as military EW Radar Warning Receivers (RWR) systems. Special configurations are available upon request. 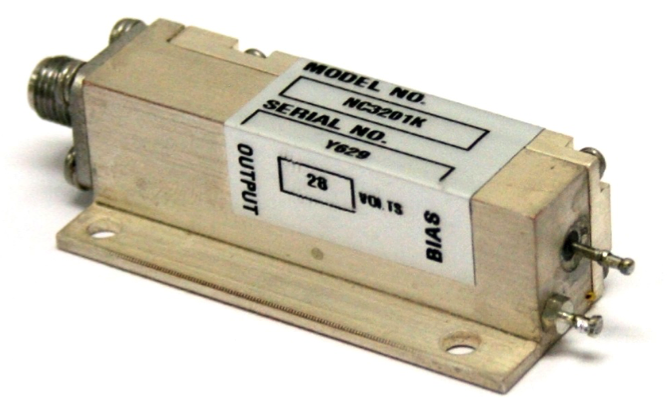 The NC3200 Series features hermetically sealed noise diodes and each noise source is supplied with calibration data for the full frequency band. At AR Europe, we supply the most advanced and innovative power amplifiers, antennas, and modules for EMC testing, wireless, medical and industrial applications.